If you are keeping up with Erik’s work you might know that he likes to experiment. He likes to challenge himself and he’s always looking for ways to improve his art and to keep it fresh — for himself and the readers. 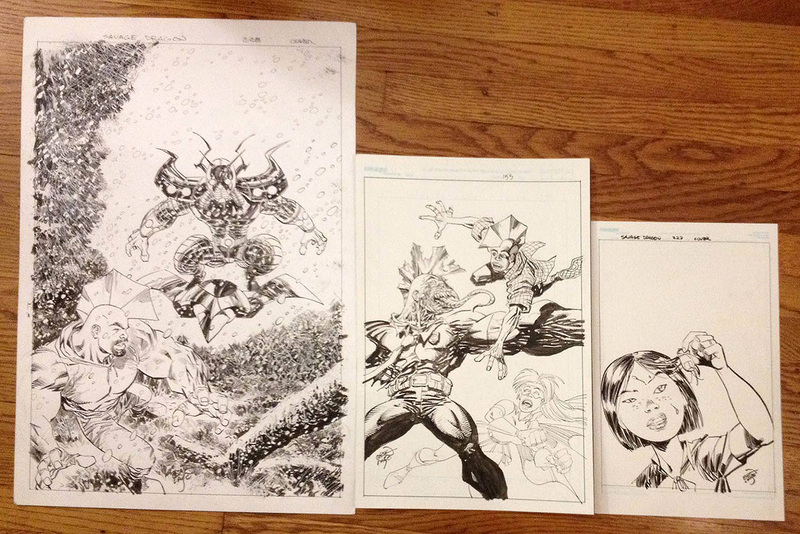 Eventually all pages were scanned and re-sized in photoshop so that Chris Eliopoulos didn’t have to deal with different font-sizes during lettering. 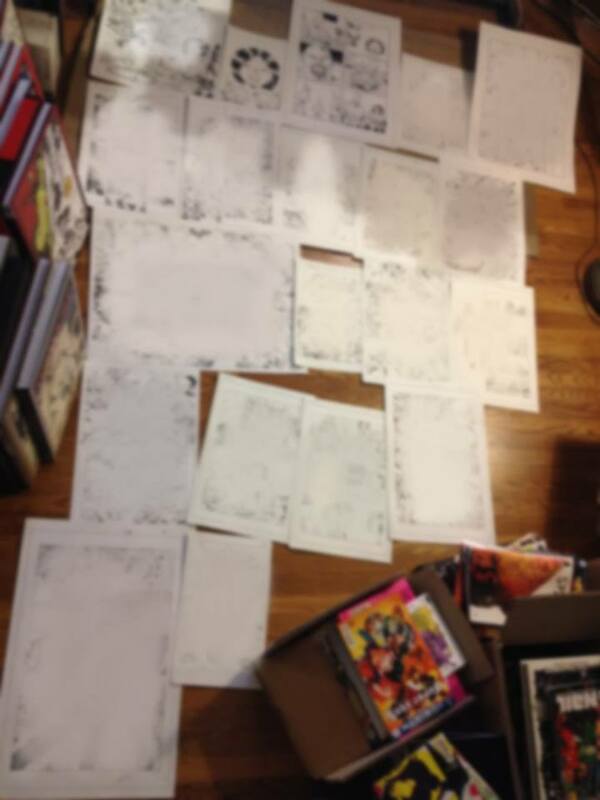 The panels were also given a consistent border thickness. 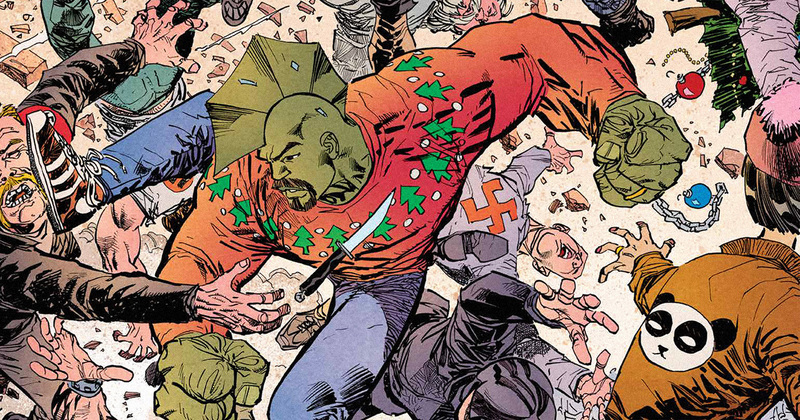 As we have reported before, Savage Dragon #230 is Cris Eliopoulos’ last work on the book as letterer. Chris is concentrating on his own writing and cartooning and we wish him all the best in his future endeavours. New letterer will be Ferran Delgado who already had a couple of stints on backstories in the book. The guys from the Savage Fincast tried something new this month and held a live Podcast on Youtube. The edited recording hasn’t been posted yet but you can listen to the live recorded version on their Youtube channel. They have also started to implement games into their show, which actually is pretty funny. So check it out and let them know their hard work is appreciated! Thanks for the Fincast plug!